As someone who has been doing health policy reform for 35 years at the local and national levels, I am beginning to get that Winston Churchill feeling—that Americans eventually get it right, but only after they've tried everything else. The process by which the Patient Protection and Affordable Care Act became law was quite partisan, but much of the new law is not partisan at all. In fact, I am amazed that, despite the process, Congress managed to finally get the policy goals right. We can't get healthcare costs under control without changes in the design and delivery of healthcare goods and services. We can't get healthcare costs under control with the current public and private insurance system, which leaves nearly 48% of Americans without insurance at some time in their lives. We can't get healthcare costs under control unless we change the business model and reward value for money as in every other industry except healthcare and education. The health reform law calls for key delivery, insurance and payment reforms, and implementing these goals will be critical to the success of this enterprise. It delegates implementation to a variety of players. HHS and the CMS have important roles, but the most critical roles will be played by states, healthcare professionals, systems' leadership and health insurance plans. Therein lies my optimism. Why optimism when my own governor in Minnesota is running for president against the policy in the new law? There are dozens of sections of the health reform law that authorize new directions, such as accountable care organizations and patient-centered medical homes, global payments for capitation and a new center for medical innovation. But these aren't new ideas. Everything we need to bend the cost curve in healthcare has already been invented. The CEO of the largest employer in La Crosse, Wis., asked the physician CEOs of the two competing local health systems why he should pay them to fill their hospitals. In response, the two systems began collaborating to improve the health of people in southwest Wisconsin and competing to deliver the best patient value for medically necessary hospitalizations. Out here we also call these “accountable care organizations”—accountable to the community they serve. Yet, we live in a national marketplace for many medical specialties where doctors can move where they make the most, not do the best. Communities from Ogden, Utah, to Hershey, Pa., can tell you that what's best for patients does not need to cost what Miami is willing to pay. If you want to bend the cost curve, then redesign the Medicare program to operate regionally and with the authority to share savings accrued to the program from practice improvement with the professional change agents. We cannot afford to wait for a one-size-fits-all ACO because it won't fit all. The evolution of accountable care will begin as quickly as Medicare begins to reward systems for setting and achieving national cost/quality/value goals. As we near the first anniversary of the infamous healthcare town hall meetings, we are reminded of the lethal nature of “government-run healthcare,” “socialized medicine” and “death panels.” The reality of the health reform law is much more interesting. It challenges leaders in the national and state governments to test the strengths of constitutional federalism. While the law is national policy, and much of the financing of its implementation is up to the national government, critical policy changes are left to the states. States have always set the rules for insurance markets and medical markets. The two industries liked it that way to discourage competition based on informed consumer choice. The threat of the “public option” helped create authority for serious health insurance reform, which will put the industry to the test. It will also test the capacity of states to set strict market rules that go beyond solvency and consumer protection requirements. In addition, the implementation of health insurance exchanges creates state opportunities for consumer choice of health plans based on more than premiums. Health reform happens to coincide with a great recession, a jobless recovery, a record spending spree and realities new to most Americans. We also face the prospect of increased productivity, especially in industries such as healthcare and education, where we've shown little aptitude for such. Productivity isn't just reducing costs, but making things better (quality improvement), and making better things (disruptive technology and the redefinition of innovation). Perhaps this is a historic time that will bring out the best in medicine—and in Americans. 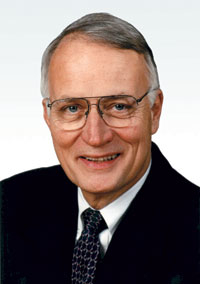 David Durenberger, a Republican, is a former senator from Minnesota.